The stigma associated with weed is gradually being erased in the minds of the public as more and more US states declare it legal to grow, sell, and use marijuana either for medical or recreational use. Gone were the times when you’d be highly criticized for using it or you may even end up in jail if you are unfortunate enough to be caught. This change in mindset is evident everywhere from casual talks about weeds and its use and the now ever-growing and lucrative cannabis business that makes money faster than you can grow the weeds itself. And weed growers breed different varieties of cannabis as well that caters to different needs of its end users. Those who are simply after its natural high can opt for the THC-rich cannabis, which was common from even before. Medical cannabis users prefer CBD-rich breeds because it is more beneficial health-wise and does not get you high like recreational users do. 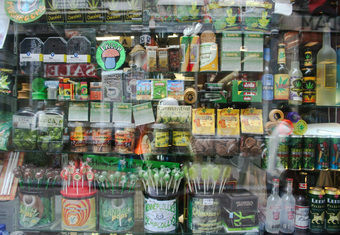 There are many variants of cannabis-based products sold in the market today. Just go to any marijuana dispensary and you can buy some that are sold as leaves itself or others that were turned into pills, gummy bears, chocolate bars or any form of edible cannabis, which is probably the easiest to take and the most affordable too. Topical wax is beneficial for body pains while tinctures are more convenient to use than sprays which leave a terrible aftertaste. The downside to all these is that it takes time for them to take effect whereas you can feel its effects kicking in roughly five minutes from a good old marijuana delivered through a vaporizer. With all these many varieties to choose from and the growing demand for weeds as a whole, it is easy to see why many businessmen want to join in on the bandwagon and take their piece of pie from selling weed. A trade expo in the nation’s capital is showcasing how big the marijuana business is and will be when recreational use of the drug is legalized in July 2018. Licensed producers, soil experts and companies that sell marijuana paraphernalia are exhibiting their products and expertise at the first ever Ottawa Cannabis & Hemp Expo this weekend. The show is not only educational for current and prospective marijuana users, but also fights the stigma attached to the drug’s use, said Kevin Blackburn, the show’s manager. The trade show includes a vaping lounge, which is only accessible to medical marijuana card holders, Blackburn said. Not only are the products made from the weed itself rack in a lot of cash but even those products related to its use like dabbing accessories such as thick glass dab pipes among others that cannabis user likely comes across or use when they’re into the use of marijuana. They are selling products like these like hot pancakes to meet the demand for marijuana accessories as more people finally get their hands on this unassuming weed especially today that even doctors start prescribing them to their patients. It is gradually being accepted as an alternative treatment for a wide variety of medical maladies that have plagued mankind for quite some time now. With marijuana legalization looming, Edmonton is opening up its doors to businesses and inquiries alike — from local establishments to established entrerprises. Edmonton officials have passed multiple bylaws ahead of the federal government’s 2018 target of legalization, including bylaws that prevent existing bars and cannabis paraphernalia stores from transitioning into marijuana lounges. But Colton Kirsop from the city said that hasn’t stopped citizens and businesses from making inquiries and applying to open marijuana-related businesses, including cannabis lounges and production facilities. “We have heard from a number of citizens and businesses that would like to know more about [marijuana-related businesses],” Kirsop told CBC News. He said there are “upward of 20 contacts that are interested in cannabis lounges or cannabis storefronts,” and three permits for commercial licence production have already been issued. Many people are itching to know more about how a marijuana-based business works seeing the potential for profit and growth in an industry that just barely took off for real. As long as you can meet the licensing requirements and you will be starting your business somewhere that has already legalized cannabis sale, then you’re virtually good to go. And the good thing about this thriving business is that it will not only profit the owner but it will eventually generate hundreds, if not thousands, of new jobs that will have a positive effect on the local economy. So, it’s a win-win situation for all, that’s if you have an open mind to the use of marijuana at all.